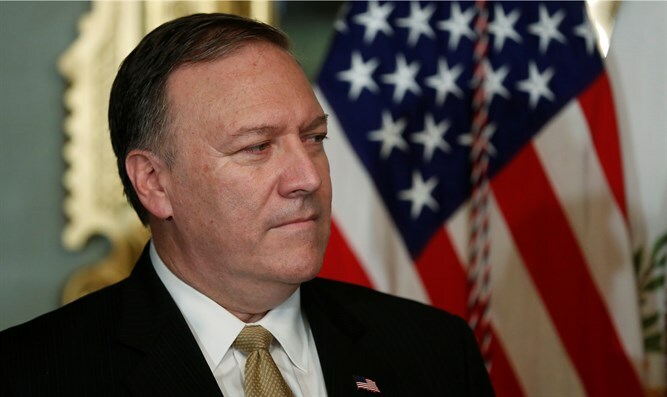 CIA Director Mike Pompeo on Monday told BBC that he believes North Korea may be able to strike the US within "a handful of months." He also claimed the CIA is "the world's finest espionage service." "We are going to go out there and do our damnedest to steal secrets on behalf of the American people. And I wanted to get back on our front foot," he told BBC. Pompeo also said that Trump's language helped North Korean leader Kim Jong-un understand that "America is serious." However, he warned that the CIA talks about Kim "having the ability to deliver nuclear weapons to the United States in a matter of a handful of months." He did not, however, explain what steps the US might take, noting only that "many things are possible." Meanwhile, a former CIA official said Monday that North Korea is "spooked." "North Korea is spooked, or at least takes the Trump administration's threats about military strikes seriously enough that it warranted some sort of outreach," former portfolio manager at the CIA's East Asia and Pacific Mission Center Jung Pak said at a forum. "And this outreach on this Olympics is (at) no cost. They just show up, right? So I think there is an element, a sign of vulnerability that the North Koreans are feeling about what the Trump administration might do." On Thursday, Kim called for a "breakthrough" unification of the Korean Peninsula, saying all Koreans should "promote contact, travel, cooperation between North and South Korea." Kim claimed earlier this month that his country has developed the capability to hit the entire US mainland with its nuclear weapons. “The entire United States is within range of our nuclear weapons, and a nuclear button is always on my desk. This is reality, not a threat,” the North Korean leader said in a televised New Year’s Day speech. On January 9, The Wall Street Journal journalist Gerald Seib said, "US officials are debating whether it's possible to mount a limited military strike against North Korean sites without igniting an all-out war on the Korean Peninsula." "The hope would be to make that point without inciting a full-bore reprisal by North Korea. It's an enormously risky idea, and there is a debate among Trump administration officials about whether it's feasible."